BBC Radio 1 and 1Xtra have announced changes to the stations' schedules, including plans for a brand-new downloadable Playlist show. Forming part of the station's schedule from January 2016, Radio 1's Playlist will take place Thursday evenings from 9 to 10pm and will include mood-, theme- and event-based playlists that will be available for download via the BBC iPlayer Radio app. Examples include Daniel P. Carter’s Greatest Rock Songs Ever, Ellie Goulding's Running Mix, Annie Mac’s Ibiza Classics and Grimmy’s Greatest Big Weekend Performances. The weekly Radio 1 Playlist show will be produced by BBC Scotland. Phil Taggart, who currently hosts the Thursday evening (9-10pm) Radio 1 slot will move to Sunday nights (10pm-1am). 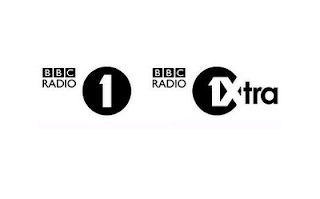 In changes to digital radio station 1Xtra's schedule, there will be a new future-facing RnB show on Tuesday evenings (10pm-1am), presented by Jamz Supernova, replacing current presenter Cameo, who leaves the station. Jamz will continue to host the weekend 1-4pm show on the station. Logan Sama will join the station from 18 November to cover Sian Anderson's Wednesday evening 10pm-1am show for the following three months due to maternity leave. “I’m absolutely delighted that Jamz Supernova will be joining the 1Xtra specialist family with a three-hour programme dedicated to future RnB. I’m also very happy that Logan Sama is taking over the Grime reins while Sian Anderson is on maternity leave.